Web hosting is a necessity for any business. Understanding what kind of hosting service you need is crucial to having a website that achieves your goals. The type of hosting service you purchase will depend on a few factors. If you are wondering whether you need shared or managed WordPress hosting, then you have come to the right place. Choosing the right type of service can make all the difference. Imagine having a site that takes forever to load, or is frequently crashing. Also what if you end up paying too much for hosting because you are buying features that your site just doesn’t need or isn’t capable of utilizing. These problems are directly related to your web hosting. Read on to find out more which one is right for you. Before we take a look at the pros and cons of hosting plans, let’s take a look at what each service has to offer. Right off the bat you will notice that shared hosting is much less expensive. Shared host has all the basics that people need to run a minimal website. Many different companies that offer shared hosting for WordPress websites at affordable prices. If you are a beginner, shared hosting usually makes the most sense, but not always. Many times as a website develops or traffic increases, you need to upgrade your service. What is managed hosting? Managed WordPress hosting is much like dedicated hosting, except you have a team of experts for technical support. It’s technically superior to shared hosting in just about every way, yet more expensive. If you are wondering whether it’s worth it to move to a managed host, this article can help. Before you make any decisions, read through this article so you can be informed about all the pros and cons of these two web hosting services. Shared hosting is the most popular choice for WordPress users. Even though most people choose this option, many don’t understand what they are paying for. The first time I bought a shared host I really didn’t know much about it except that it was cheaper. I knew dedicated hosting was faster and more expensive but I didn’t know why. Shared hosting is when groups of websites share the same server. Having multiple sites on the same server can allow hosts to provide much lower rates. Shared hosting is obviously a great choice in terms of value. Managed hosting can often cost 50X more than shared hosting. Right now dedicated web hosting (managed hosting) can start at around $150 a month while shared hosting starts out at around $10 per month. It really depends on your goals though, many times managed hosting can be the most practical solution to your hosting needs. We can’t stress enough the importance of reputation when it comes to choosing your provider. Marketing is one thing, but many companies can get greedy and overpromise. You will see offers boasting unlimited space, bandwidth, domain names ect. When it comes to web hosting, nothing is unlimited. All of these services are finite and don’t believe otherwise. Shared hosting is ideal for small businesses, new blogs, single page sites and other projects that are limited in scope. If your site really takes off and draws a ton of traffic, your provider will want you to upgrade. Many times you will be forced to upgrade. Some companies will go ahead and suspend your account until you do. The single most important factor to consider when choosing between shared hosts is reputation, since most providers offer the exact same services. To discover which service is reliable, you need to read customer reviews from different sites. You can get a general picture of the overall experience the host provides. You will be rolling the dice with newer companies. It’s recommended to avoid them at all costs, even if they are ridiculously inexpensive. The most noticeable advantage is the cost. Thousands of sites share the same server to reduce costs. With fees starting at only $3.95 per month, this is by far the most affordable route. Easy to use. Almost all the major shared web hosting providers have intuitive UI’s. Just login to your account and manage your website from the dashboard. Reliable. The biggest providers are very professional. This keeps downtimes, bugs and server issues to a minimum. The web host will manage all the technical problems associated with the server. Too many sites on the server. A lot of companies can become overzealous, packing too many websites onto one server. This can cause a lot of maintenance issues including regular downtime. Limited resources. One of the main disadvantages of using a shared server for your site is that you won’t be able to use more advanced functions. You may want to add new programs or modify the server. You won’t be able to do this on a shared hosting service. WordPress is used by millions of people all over the world. There are many WordPress hosts that offer managed hosting. If you are still confused, managed hosting is basically dedicated hosting with extra support from your service provider. All the technical aspects of managing a WordPress website are taken care of by the host. This includes things like security, updating, back-ups and scalability. The most attractive advantage about manage hosting is the support. You will have expert webmasters in your corner at all times. Lighting Fast – Managed WordPress hosts are specifically designed to work with WordPress. The server provides lighting fast load times even during heavy traffic. Secure – Your site will be locked up tight when you use a managed hosting provider. They have excellent security to prevent problems and fend off malicious attacks. Expert Support – Managed WordPress hosts base their business on the WordPress CMS platform. They understand all the best ways to increase performance and solve problems. Having an expert that understand the problem can mean all the difference. Backup Service – Your provider can give you the luxury of daily, off-site backups to ensure that you don’t lose data. Automatic Updates – Never have to worry about updates since they are automatically done. Great for developers – Each provider has slightly different options, but you will no doubt have access to more developer tools than on a shared host. Cost – The price of managed hosting is higher than shared hosting. Many times though it will be a cost effective decision. Hiring someone to run your website can be very expensive, much more than paying for managed hosting. Limits – Since you are using a managed WordPress host, you can only use WordPress based sites. 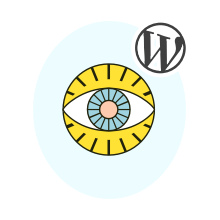 If you are using WordPress, then you have nothing to worry about. But if you ever wanted to change CMS you might have some trouble migrating your site. Less Control – You will be handing many of the administrative duties over to your hosting provider. This is the whole point of managed hosting. If you want more control and you have the time and labor, you might not want to get a managed host. Now that you learned about some of the pros and cons of managed hosting and shared hosting for WordPress, you are ready to find what’s right for you. What it all comes down to is your needs. Shared hosting is the most common option among WordPress webmasters as well as the most affordable. If you are a beginner who is starting a blog then you won’t need managed hosting. For small sites shared hosting will provide everything you need. Remember to sign up with a reputable host that guarantees 99.9% uptime. Anything less is unacceptable. If you are a small business or you have a lot of traffic on your site, it makes sense to purchase managed WordPress hosting. If you have more money than time, or a lack of technical skills, managed hosting makes your life a lot easier. You can make your site work with shared, VPS, or dedicated hosting, but you will be responsible for maintaining your website. Things like security strategies, updates, uptime and speed will all have to be monitored and maintained. You can do it yourself, hire a system admin or you could purchase a managed host provider. At the end of the day you will need to decide whether the extra cost of managed hosting is worth it. Now that you know all about shared and managed hosting for WordPress, make your decision and get creative. Be sure to share your experience in the comments section.